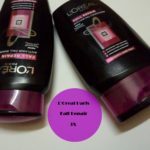 I was a little surprised when I searched and realized that this loreal paris shampoo and conditioner hair range had not been reviewed on VNA before. 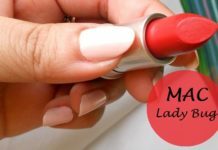 This is because these are such a gem of a product that you guys have to know about it! 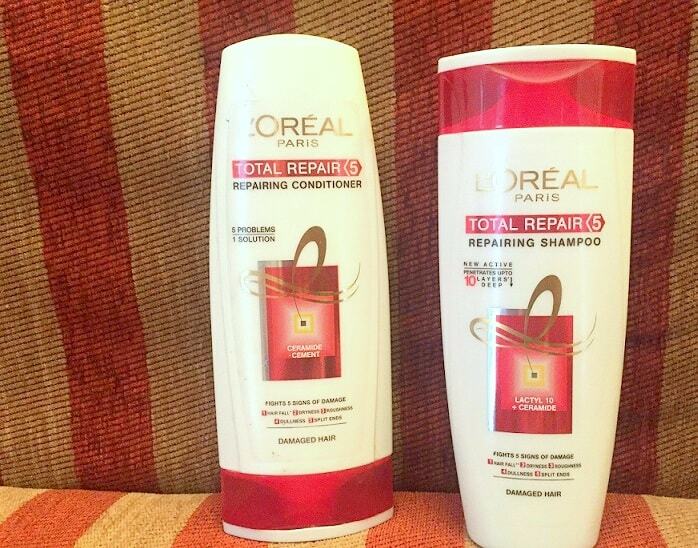 The total repair 5 repairing shampoo and conditioner hair range (as seen on tv ads endorsed by Aishwarya Rai Bachchan) is my absolute favorite and I have been using it for as long as I can remember. 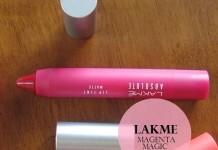 Read on my review to know why I love this hair range so much. 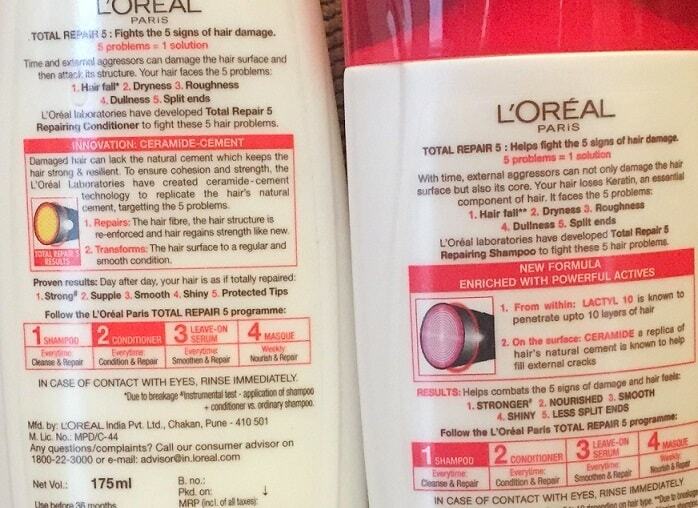 L’Oreal Paris Claims: The L’Oreal Hair Expertise Total Repair 5 shampoo is an all-in-one shampoo which provides hair-care for a variety of problems. 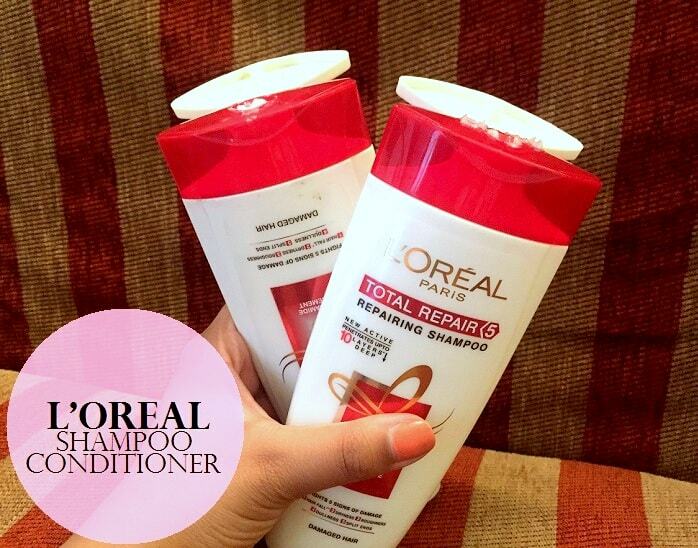 The L’Oreal Total Repair 5 Repairing Shampoo helps women fight against the five evident signs of damaged hair. 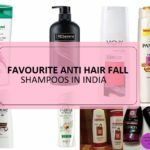 Hair fall, roughness, dryness, dullness, and split ends can all be addressed with the help of this multi-functional shampoo. 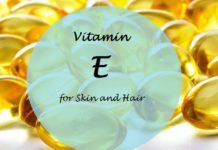 Upon using it every day, women can notice their hair become strong, smooth, supple, shiny, and develop protected tips. L’oreal revamped its packaging a few months back. It is a travel friendly and sturdy plastic bottle. It is a cute and is in red and white color. Both the bottles of the shampoo and conditioner are upside down to one another so it becomes quite easy to locate your product ( to be honest, I still get confused!). First impression of the total repair five shampoo and the conditioner is that they have a very good smell, slightly something similar to an expensive hair treatment product. The smell, fragrance in this case lingers for a very long time and makes your hair smell fresh and scent-y for at least two to three days till you wash it again. 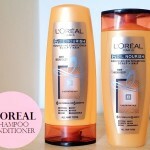 The consistency of the loreal shampoo and conditioner is neither too thick nor too thin. Just the right proportion. 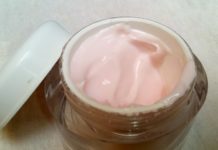 The color is off-white, however the shampoo lathers well and the conditioner spreads and detangles the hair very conveniently. 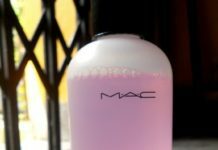 After every wash my hair feels soft and manageable and the conditioner does a great job at keeping tangles and frizz at bay. 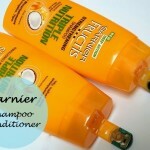 Constant usage of the repairing shampoo and conditioner together moisturize and repair your hair. 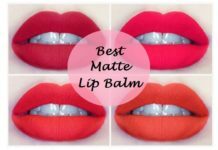 It can be used on oiled hair as well as non-oiled hair and works as efficiently in both the cases. It partially helped my hair fall problem. It did not completely stop it but there is some notable difference. It made my hair soft too. It did not dry out my scalp. However, there is a con in the situation too. The conditioner has alcohol and shampoo has sulfate. I read somewhere that it is advisable to use conditioners without any alcohol to tame frizz which is a major problem with my hair. I have been using this for the past 2-3 years and even when I tried switching shampoos, I always return to this. So it is safe to say that this total repair 5 duo is the staple diet for my hair for good health and definitely recommend it to you guys! Conclusion: It works great for me. It is not harsh on my hair and times when I apply hair oil, it washes out the oil well without making my hair dry. Overall, I love it. Do try it. 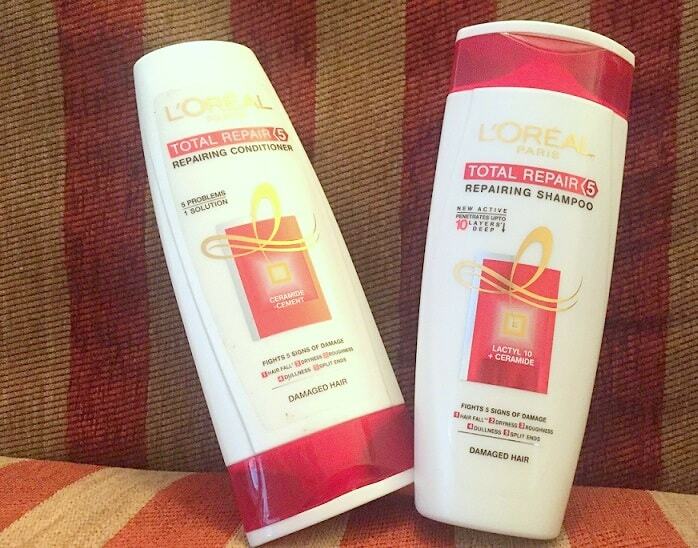 Have you used L’Oreal Paris Total Repair 5 Shampoo and Conditioner? Share your reviews with us. Finding the right shampoo and hair products for my hair is a tough task. I wanna give this a try. Well reviewed. alcohol is not for my already dry n frizzy hair. As it sounds, it works to be the same. Although the result took time to appear but leaves hair to be shinny,soft and of course damage less . did it help you with the frizz problem? This was one of the best shampoo I ever used.I used it continuously for years and it was awesome.But ever since it changed to lactyl 10and then to repairing cream it has become the worst shampoo ever.I wonder why does the company launch a new variant every 6 months.What about the people who are already happy with the old formula.I wish it comes back.A real disappointed.I wish the old one comes back.